For Sienna’s 13th birthday, this stylish young lady invited 20 of her closest friends over for an epic girls’ night under the stars. 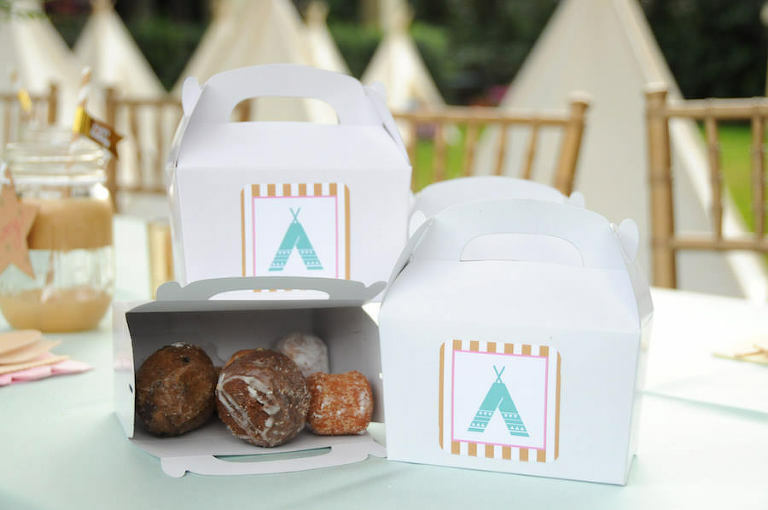 Parties A’ La Carte transformed Sienna’s backyard into “Camp Sienna,” and the birthday girl welcomed guests to her glamping retreat complete with elegant tepees. 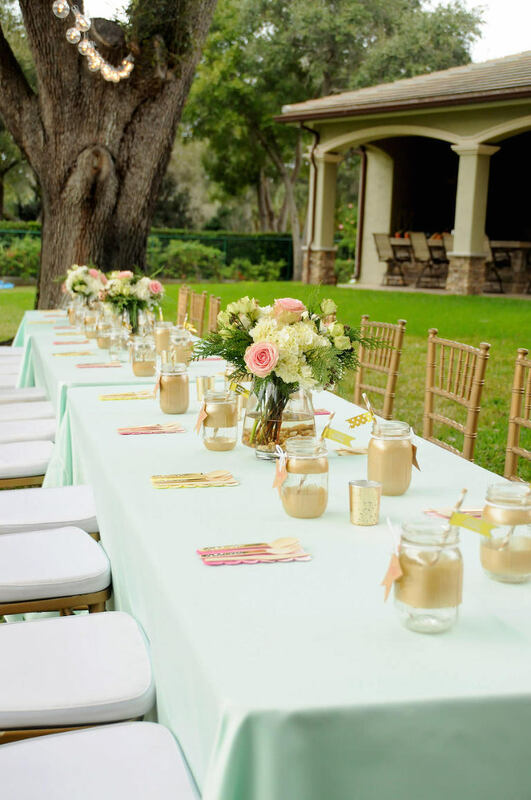 For the mature celebration, gold chiavari chairs surrounded a grand feasting table with mint linens and forest-inspired floral arrangements. 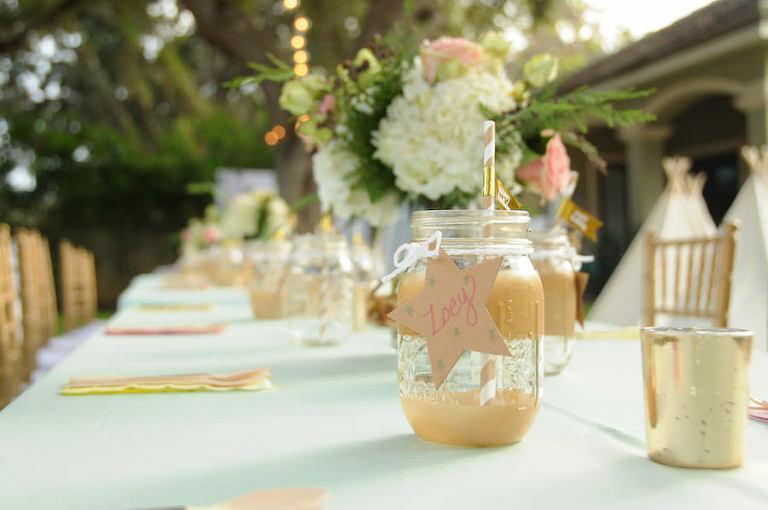 Mason jar glasses, customized with each girl’s name, doubled as a place card and favor. Just beyond the table, tents were arranged for an outdoor movie night complete with a full snack bar and custom s’mores kits. The girls slept in their new pajama favors and awoke to packaged boxes of mini doughnuts and glass bottles filled with milk. What a way to spend her first night as a teenager!